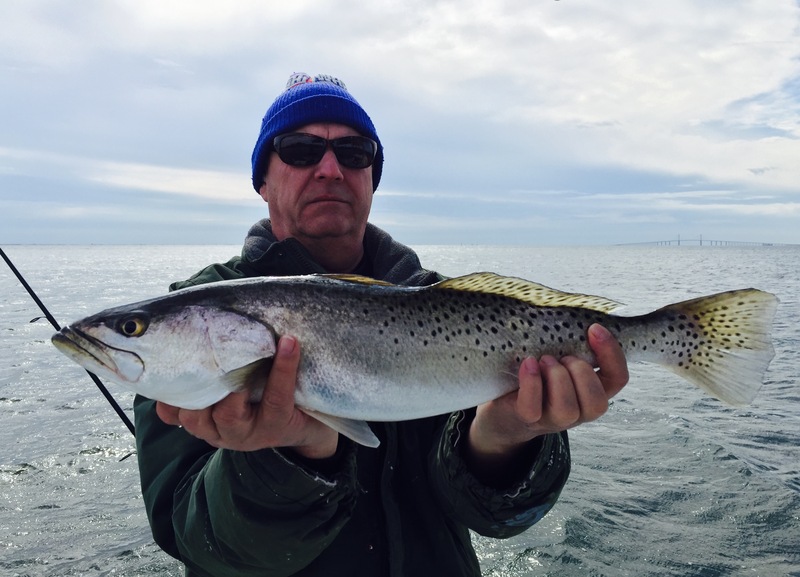 Fishing Tampa Bay during the winter, offers some productive fishing, if you use proper techniques and are willing to change with the cooler temperatures. When water temperatures cool down, the bite can get challenging if proper techniques are not used and you don’t focus on the proper species. The snook and redfish bite tends to slow down with the cooler temperatures. So that’s when I focus on the species that can tolerate the cooler water. Trout are my “go-to” species for the winter months. They can tolerate the cooler temperatures and are willing to feed most days. I like to use soft plastics when targeting trout. D.O.A makes a wide variety of soft plastics. I prefer their C.A.L 3” Shad, in colors, Pearl or Electric Chicken, on a 1/8 ounce, white or chartreuse jig head. The key to fishing Tampa Bay during the winter months is to slow down your presentation. When water temperatures cool down, fish metabolism slows down. They don’t burn a lot of calories so they don’t have to eat as much. They also try to preserve energy, so they won’t chase bait. That’s why it is important to slow down presentation. Tampa Bay fishing offers a good variety of fishing during the winter months. Trout are a Tampa Bay favorite but not the only species. We have a great sheepshead and flounder fishery as well.